Explore a deadly new kingdom is the sequel to Hollow Knight. In a strange twist of events, Team Cherry have revealed their upcoming Hollow Knight Hornet content will actually be an entirely new game. Officially title “Hollow Knight: Silksong”, the upcoming title will act a sequel to the original bug-themed metroidvania and is set to release on Nintendo Switch and PC. In Hollow Knight: Silksong players take on the role of Hornet, the princess-protector of Hallownest, as she ventures through a vast and unfamiliar land. Captured and carted off to a kingdom “ruled by silk and song”, players must master a brand new set moves to help Hornet ascend to the kingdom’s peak and discover the truth behind her capture. Hollow Knight: Silksong will feature over 150 brand new enemies to tackle, an “ever-expanding” arsenal of deadly tools to craft, unearth mysterious hidden treasures to unearth, rare beasts to hunt down, and a dangerous new kingdom for players to traverse. Think you’ve finally mastered the game? Then test your skills in the all-new “Silk Soul mode” and experience a unique and challenging twist. In addition to details about the story and gameplay, Team Cherry has also announced that award-winning composer Christopher Larkin will be making his return to score the upcoming title. 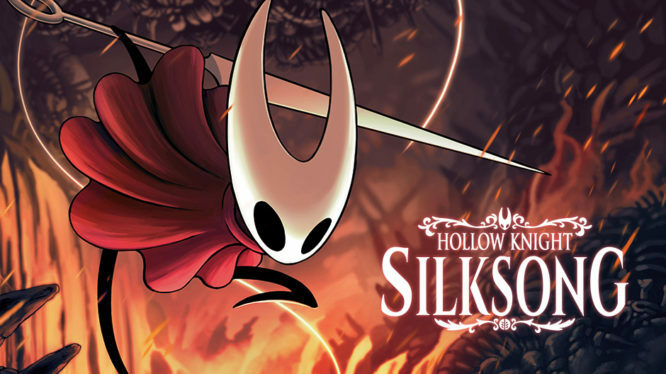 Hollow Knight: Silksong will feature a “stunning orchestral score” and “soul strumming boss themes” for players to unleash their incredible new abilities to. Hollow Knight: Silksong will be targeting Nintendo Switch and PC during it’s initial launch. Although there’s been no word on a release date or pricing, Team Cherry has confirmed that KickStarter users who backed the original Hollow Knight project will be treated to a copy of Silksong absolutely free! Explore the Hallownest with a reversible cover and no import tax. A first look at the weird and wonderful inhabitants of Pharloom. Pre-orders are now open for Standard and Collector's Editions!